Fourth of July is right around the corner and I’m starting to plan my menu for the holiday weekend. I’m always creating simple and quick dishes, so that I can enjoy time with friends and am not stuck in the kitchen over the hot stove. 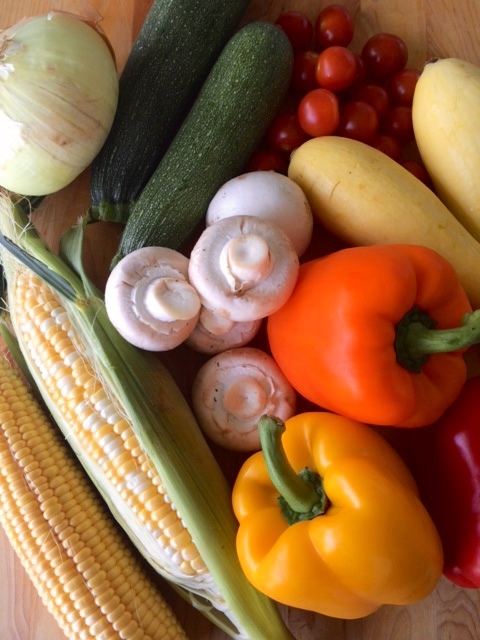 This recipe uses one of my favorite cooking tools everyone must have – a grill. 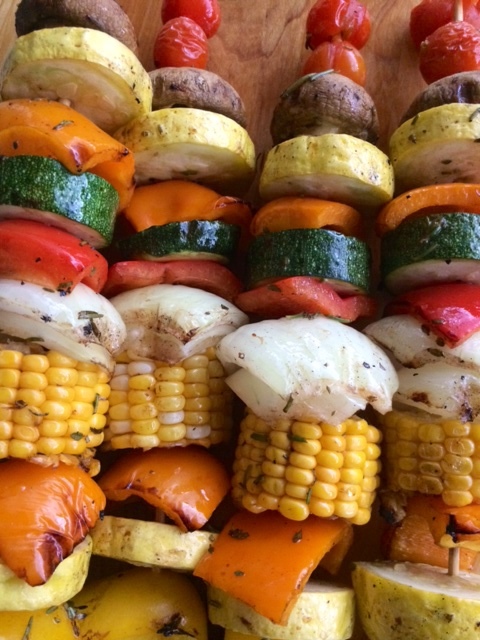 These Grilled Vegetable Kabobs are bright and colorful, not to mention healthy which I love. They will incorporate beautifully with your summer cookout, because they can be prepared the night before – then just place on the grill with the rest of your other Fourth of July grilling essentials. My family spends almost every Fourth of July on Nantucket and these Grilled Vegtable Kabaobs are always a staple at our house. Typically all of my aunts, uncles and cousins will go to my grandparents house and have a big BBQ in the backyard and then later go into town and watch the fireworks… that is if the fog doesn’t roll in by then! I guess that’s why they call Nantucket the Grey Lady! Hopefully this year the fog won’t hang around, and we can watch the fireworks and celebrate America’s birthday. 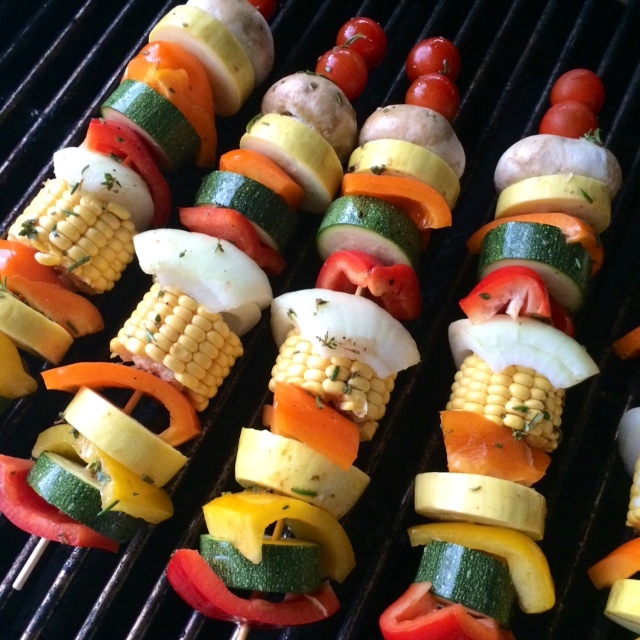 Chop vegetables into very large chunks, and place on skewers into a pattern. 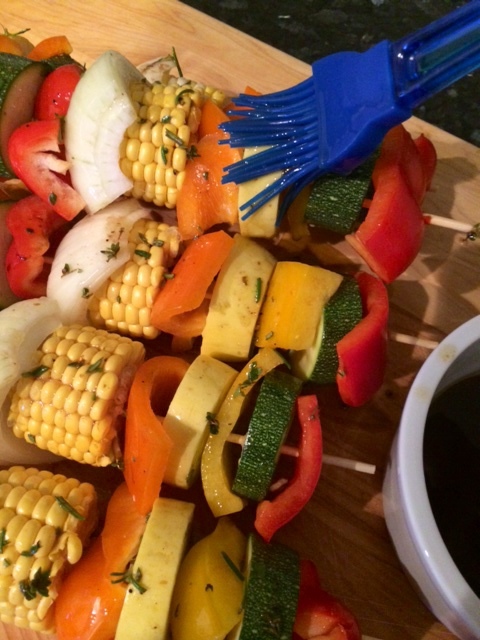 To make the marinade, whisk all marinade ingredients together and brush on vegetable kabobs prior to grilling. 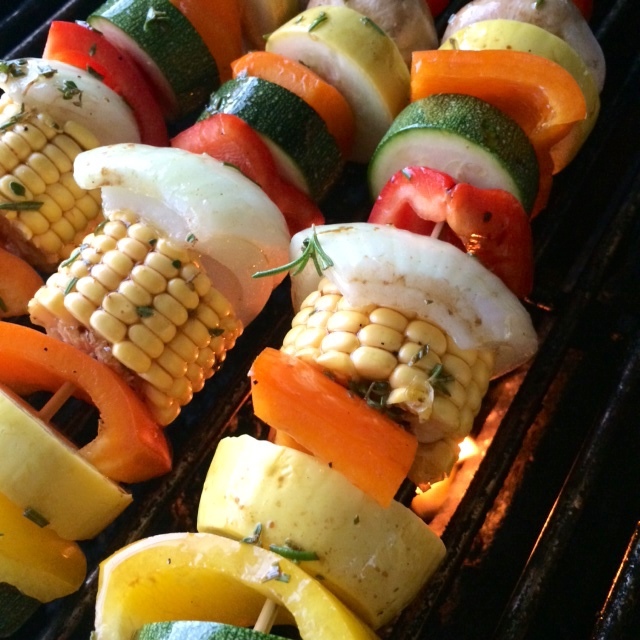 Cook skewers on grill until vegetables are lightly charred all over. Turn occasionally and baste with reserved marinade. This will take about 10 minutes. Once cooked, remove from grill. Serve hot.